BuyBust is a 2018 action thriller featuring an ensemble cast lead by Anne Curtis, Victor Neri and Brandon Vera. 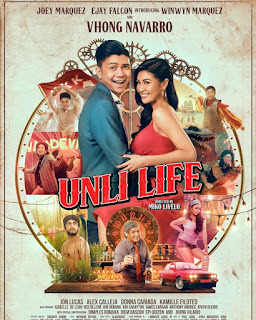 Other cast members include Arjo Atayde, Nonie Buencamino, Lao Rodriguez, Alex Calleja, Levi Ignacio, Ricky Pascua, Joross Gamboa, Sheenly Gener, Mara Lopez, Aj Muhlach, Tarek El Tayech, Maddie Martiniz, Nafa Hilario, Ian Ignacio and Mikey Alcaraz. Written and directed by Erik Matti and produced on by Viva Films and Reality Entertainment. It premiered on June 29, 2018 at the New York Asian Film Festival and will premiere on August 1, 2018 in Philippines theaters. Buy bust follows PDEA agent Nina (Anne Curtis) who was the only survivor among her squad following a drug-raid gone wrong. Filled with rage and eager to end the rule and influence of drug cartels in Manila, she joins another drug-raid. However, she and her team find themselves on the edge of glory when the operations failed once again and this time they not only face the drug gang members but a mob of angry civilians as well and the only way is to fight their way out. Anne Curtis once again amazed the public by her latest film. Demonstrating her action skills, it is no doubt that she has proven herself time and time again when it comes to playing complex characters. Along with her co stars Vera, Neri etc.. the cast gives off solid performance too. The storyline and cinematography looks very promising and the trailer gave us just enough glimpse to have an idea of whats happening and also left us with a few question. The film has also given us a sense of familiarity: One will recognize that it bares resemblance on the 2011 Indonesian ‘s hit action thriller ‘The Raid’. North America has received the film so well and that alone should be enough reason for us to watch it in cinemas. To all movie goers alike this film is a must watch.